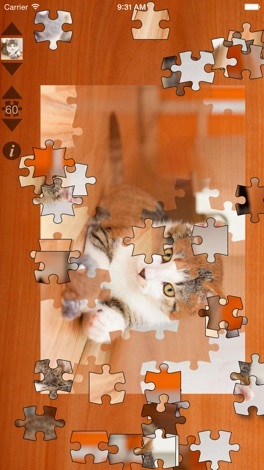 31 puzzles for all lovers of cuddly cats. 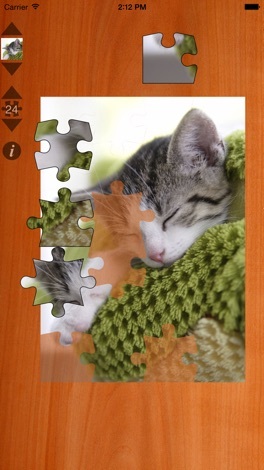 Kitty fanciers and their feline friends will enjoy these relaxing jigsaw puzzles and accompanying sounds. 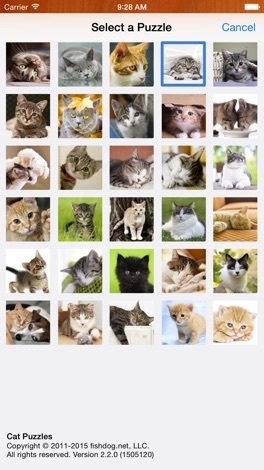 Set the number of pieces and choose one of 31 professional photos, then you are ready to play. 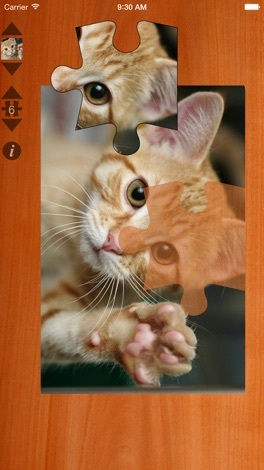 Pieces snap together and move into place like a dream.